When it comes to scientific exploration and space travel, it can pay off to think big. NASA is certainly doing that with its latest idea—a proposal to put a giant magnetic shield in space to make Mars habitable for humans and eventually lead to colonization of the red planet. Mars has long been the subject of space dreams, and NASA’s latest plan attempts to solve many of the problems that have stopped scientists from exploring the area. Scientists have found signs that Mars once had a better climate and deep oceans filled with water, but the current state is dry, desolate, and uninhabitable. The current hypothesis is that Mars once had a magnetic field protecting it from the sun, similar to what Earth has, but that shield collapsed billions of years ago, allowing solar winds to strip the atmosphere away over the last 500 million years. 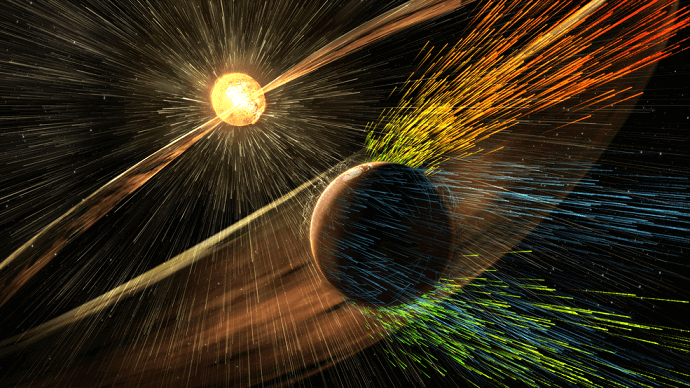 Mars rovers confirm the theory and have predicted that continued exposure to solar winds will continue to hurt Mars’ atmosphere, as well as make any kind of human space travel there quite dangerous and difficult. The proposed giant magnetic shield would be launched into space to protect Mars from solar winds, which would allow the planet’s atmosphere to be restored and change the climate enough that liquid water could again flow on the surface. Essentially, the plan is to replace Mars’ natural shield with a giant artificial replica that would target the two areas where most of Mars’ atmosphere has been lost. NASA scientists are quick to acknowledge that the plan may sound unrealistic, but they have scientific evidence on their side. Research is currently being conducted using a miniature magnetosphere to protect astronauts from cosmic radiation, and signs point to the technology being able to work on a larger scale to protect an entire planet. 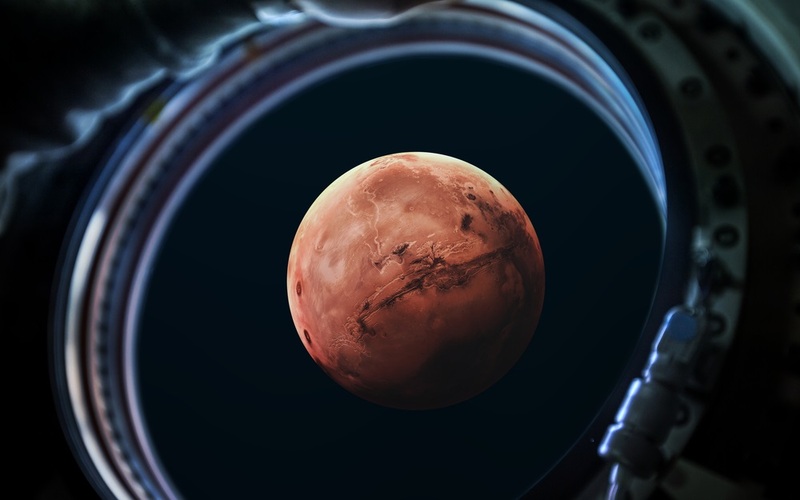 Projections based on the small model suggest that the shield would help Mars’ atmosphere become thicker, which would lead to the temperature increasing by 4 degrees Celsius. The hotter climate could melt ice currently on the planet and allow for water to flow and, potentially, for plants to flourish. NASA scientists estimate the increase in temperature could lead to the restoration of one-seventh of Mars’ original oceans and that the atmosphere would continue to grow over time. The plan is currently only theoretical, and it would be years before anything could be put into action. In the meantime, a team of researchers will continue studying the possibilities to refine their calculations and get a better understanding of how the shield would affect the climate. The team is also running models of their hypotheses at the Coordinated Community Modeling Center, which specializes in space weather research. If successful, the shield brings the potential colonization of Mars one step closer to reality, which could completely change the face of science and space travel. Special Olympics: Winter Games Begin!